Last Tuesday a friend and I visited the King Abdulaziz Public Library. A week earlier we’d made a list of things we could do in Riyadh that didn’t involve malls, drinking coffee, shopping, or given the current temperatures, being outdoors. The National Museum was top of our list, but we’d both already been there. 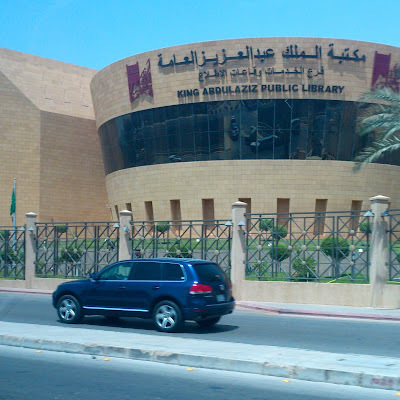 The King Abdulaziz Public Library was our second idea. There was no third. When I think of libraries, I visualise the Christchurch Public Library. There’s a bustle and energy from the moment you enter the building. People queue to have books issued, they ride the escalators upstairs to various sections, and downstairs browse in the fiction area. It's a hive of bookish activity. Unfortunately, the King Abdulaziz Public Library was not like this. It certainly has an impressive exterior and we found the Women’s and Children’s Library entrance easily enough. 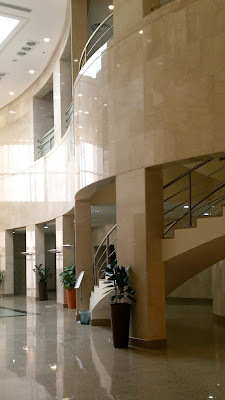 The marble floored atrium was imposing but it was eerily quiet. There was no one there, no bustle, no energy and no books visible as we walked in. Beyond the main entrance we passed a small café-like area where a group of women were sitting eating and drinking. They were staff and it was morning tea. One leapt up and asked us what we wanted. She was happy to take us upstairs and show us around. 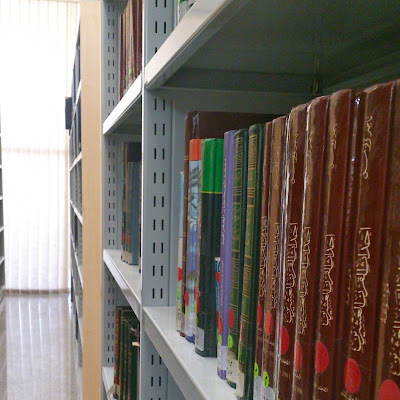 There was just one large room, with shelves of books at one end and a central area full of computer bays. The books, she told us, were all in Arabic and mostly non-fiction. If we wanted a book in English, we could put in a request for it through the Men’s Library where those books were located. The Children’s Library also had books in English, she said, but then added that it had been shut for about 4 months and no one knew when it would open. It might be soon, insha'allah. It was about this stage that we both realized telling our respective drivers to come back in two hours to collect us had been a mistake. We'd been there just twenty minutes and already seen it all. 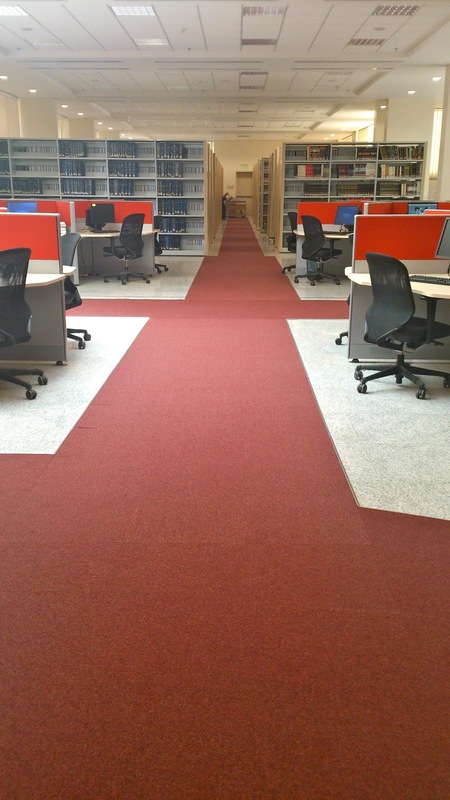 The library’s official website had listed a rare acquisitions section which included maps, photographs, coins, rare books, manuscripts and documents. However, we saw nothing like this. Moreover, the place was stunningly empty of people. No one borrowing and no one shelving. The two of us and one other woman sitting at a computer with a pile of books made a grand total of three users. We sat and chatted, looked up a couple of things on the internet, making use of the many computers available, and then we made our way downstairs to meet our drivers. As we walked out, we passed the café area, where the same women were seated again, eating and drinking, just as they had been when we’d arrived. They waved and smiled at us as we left the cool quiet for the heat and bustle of outdoors. There’s a library on our compound. It's small, unpretentious and run on a voluntary basis, but it has books and there are people and children who pop in and out, sometimes as much for a chat as to find a book. 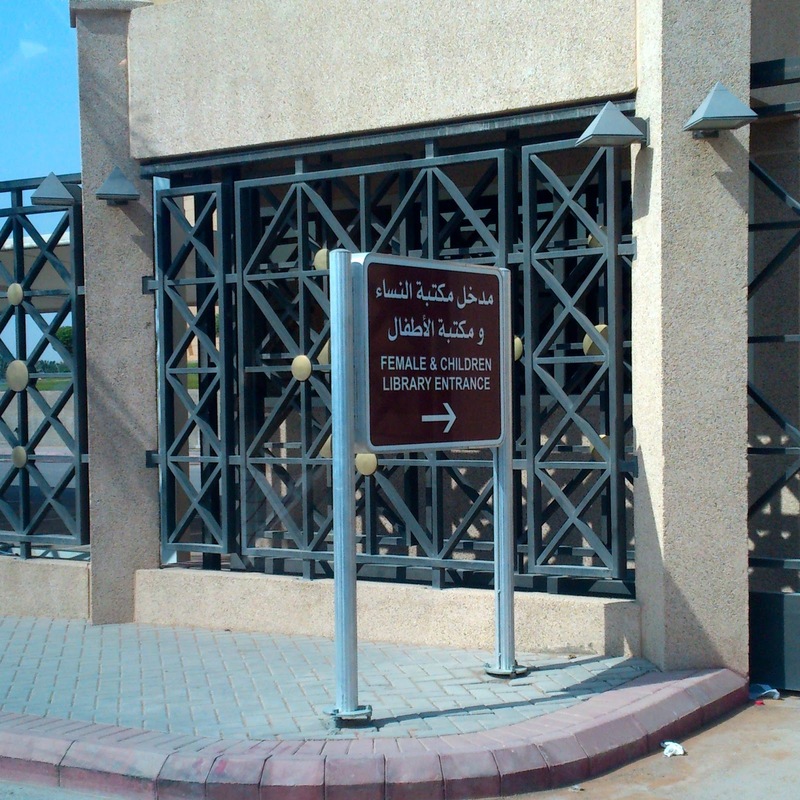 It’s nothing like the King Abdulaziz Public Library, but sadly, that’s a good thing. It is sad. I hope you can think of something :) Reading is so important.